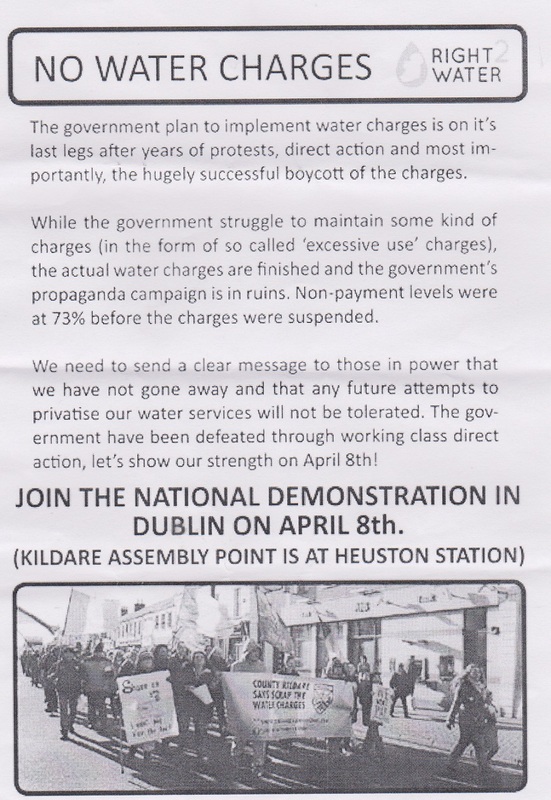 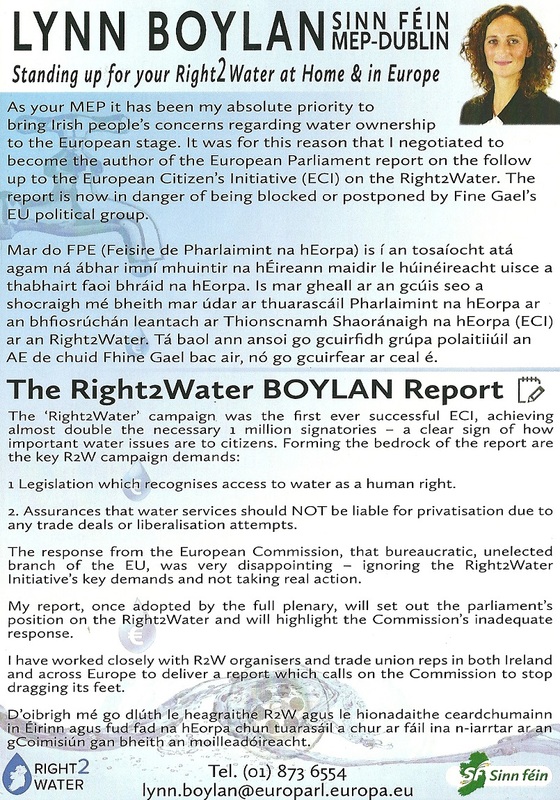 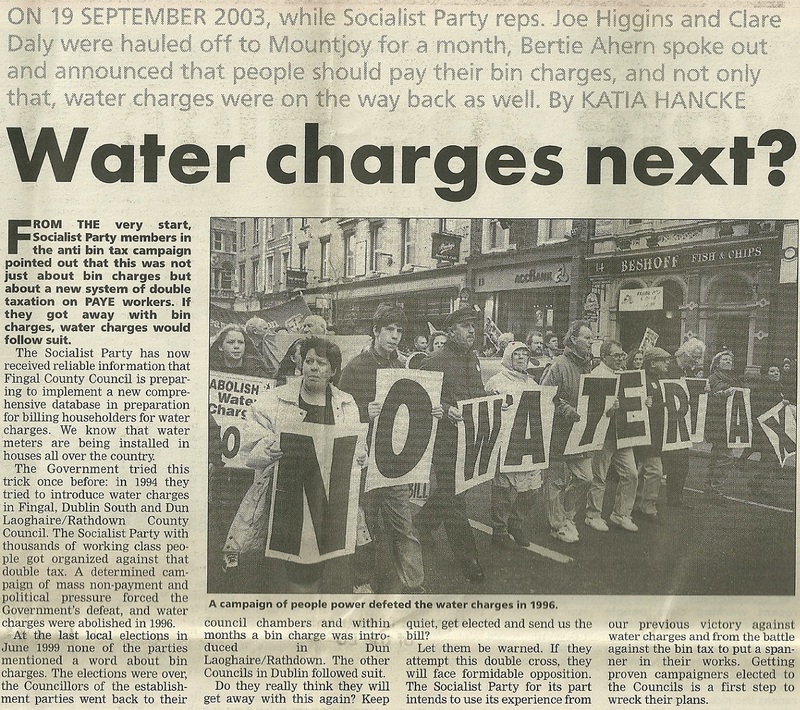 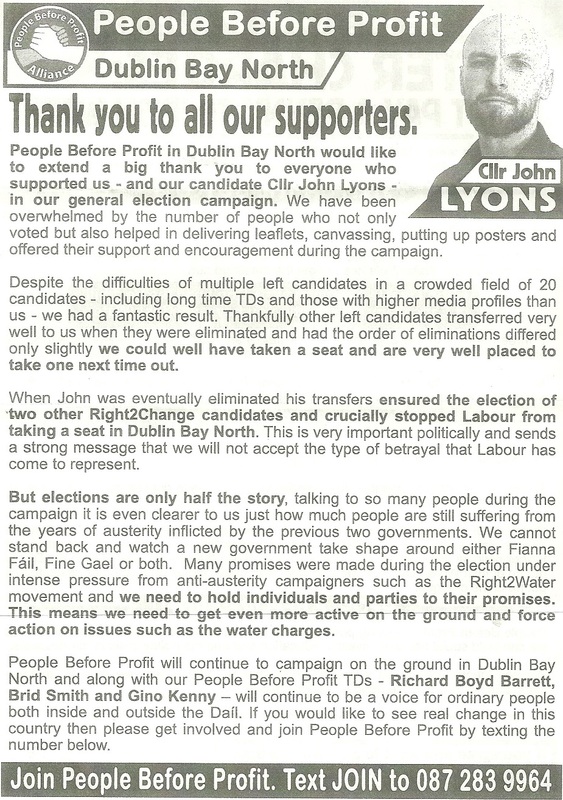 A leaflet from Sinn Fein Dublin MEP Lynn Boylan regarding “the European Parliament report on the follow up to the European Citizen’s Initiative on the Right2Water”. 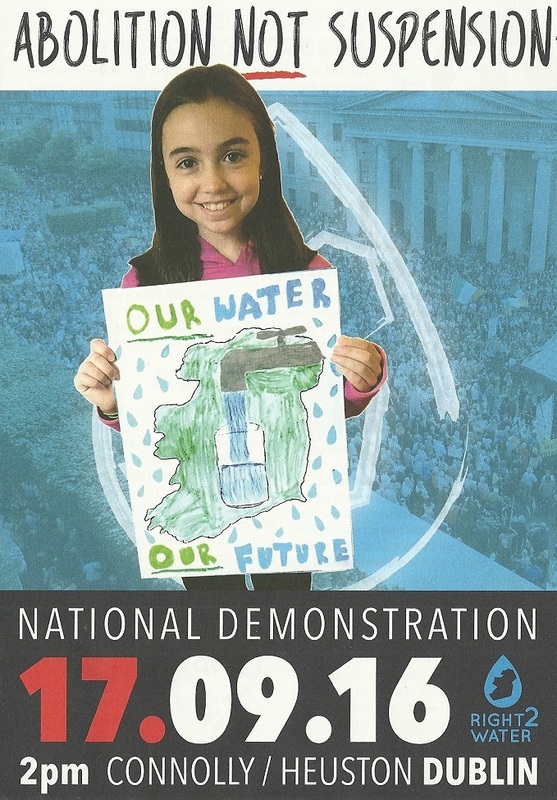 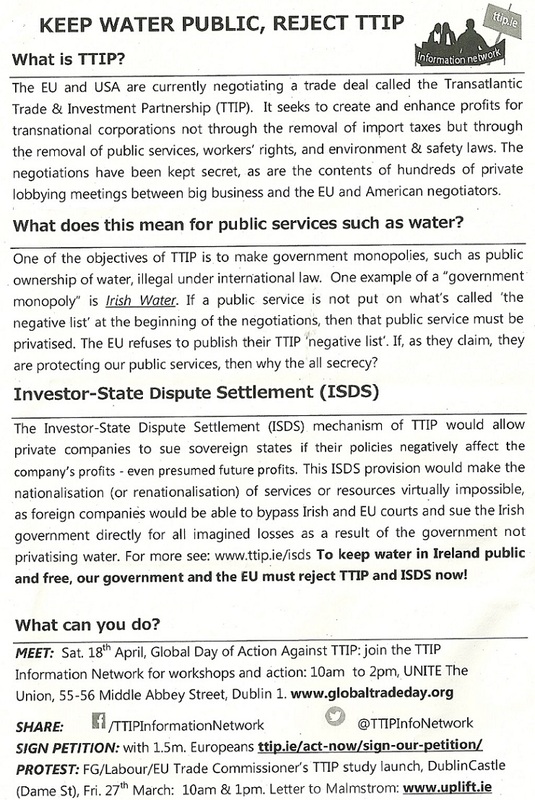 “Keep Water Public, Reject TTIP” a leaflet from the TTIP Information Network. 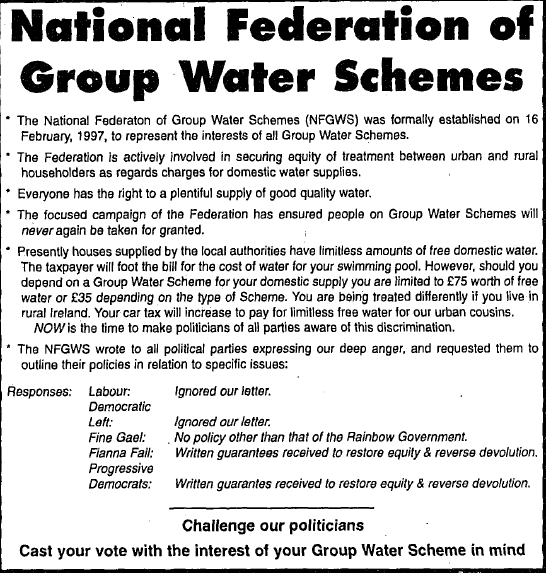 Their website.